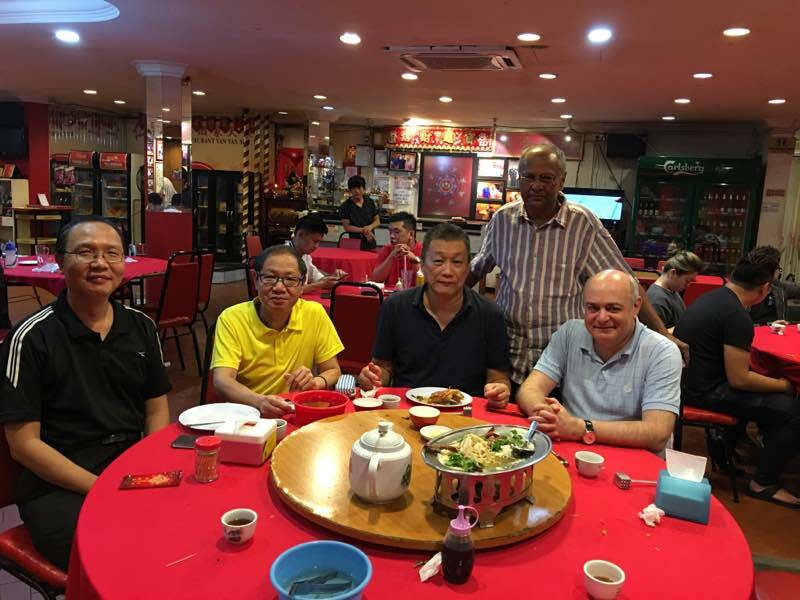 KCF Tour – last stop in Kuala Lumpur. 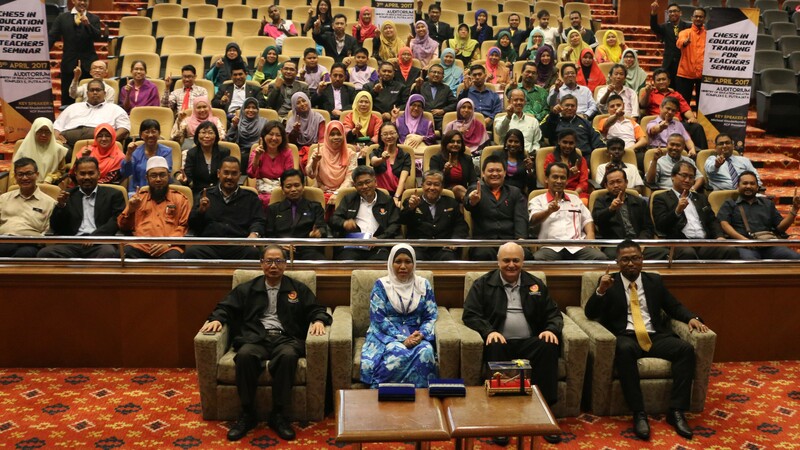 80 teachers and Education representatives attended from all over Malaysia. 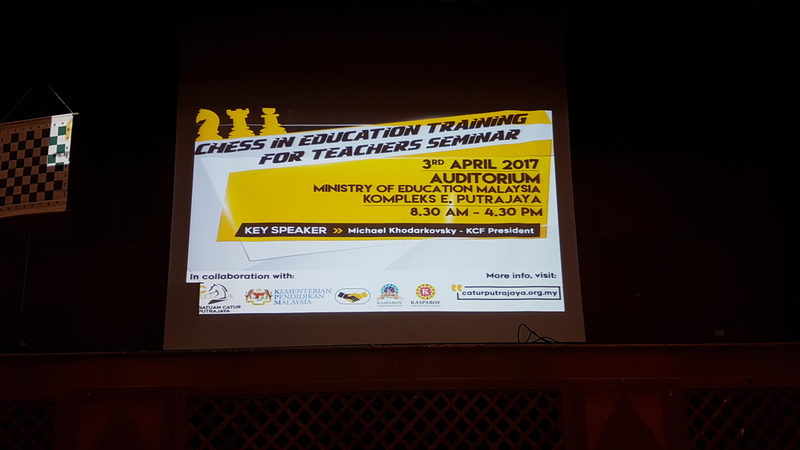 Seminar ably managed by Putrajaya Chess Association at the Ministry auditorium! 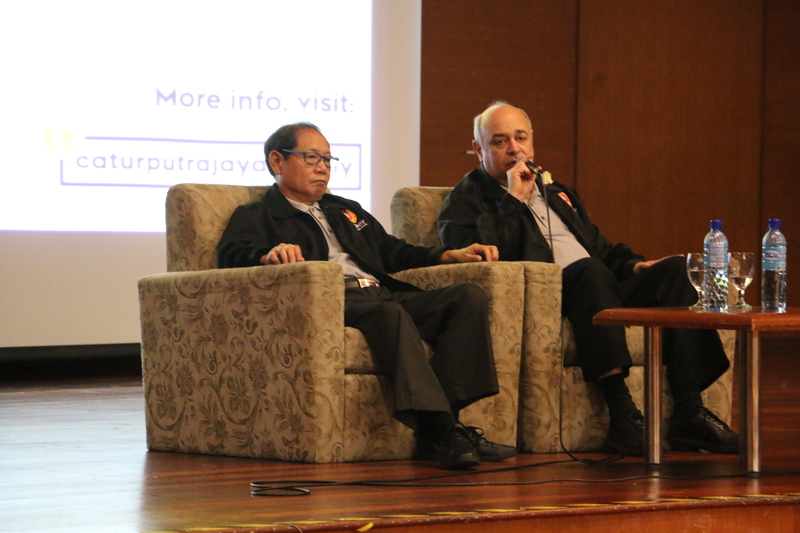 Ignatius Leong, Puan Rabitah Abdul binti Razak (Director of Chess in the MOE), Michael Khodarkovsky and Mohd. 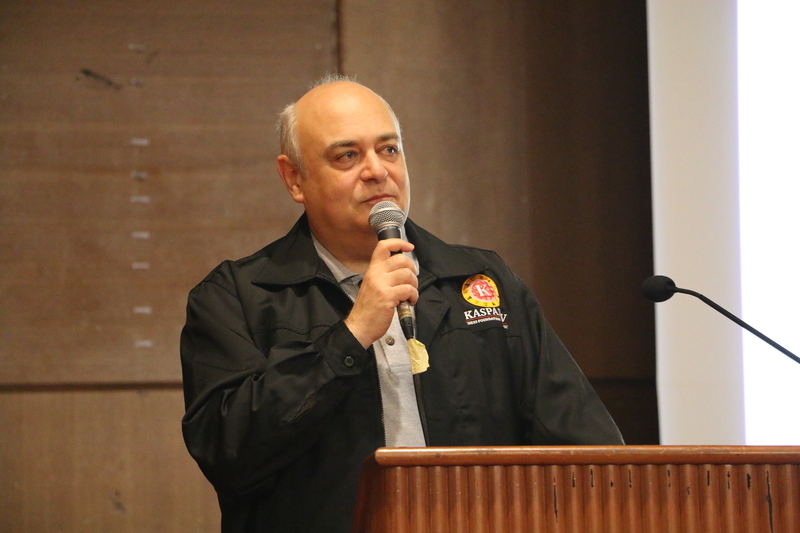 Firdaus Ismail (President of Putrajaya Chess Association). 2 weeks ago, 555 players competed in the National Youth Championships. The top 3 in the U8 U10 U12 U14 & U18 will be awarded subsidies sponsored by KCF Asia Pacific for their participation in this year’s ASEAN Age Group Championships.